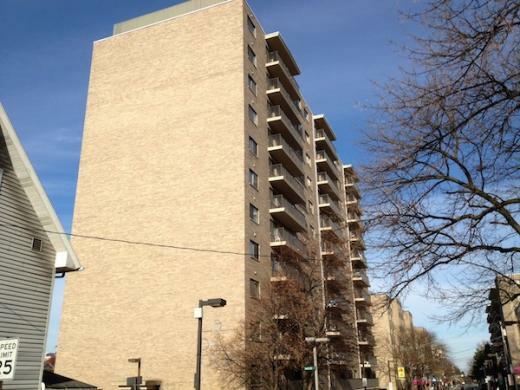 When it Comes to Student Safety, Are Balconies Really the Problem? It appears that Happy Valley has a balcony problem. This time, it was two stories and the injuries weren't life threatening. Another Penn State student falls from a downtown high-rise, making the recent injuries and deaths from falling seem almost like an epidemic. According to reports, there have been at least seven incidents of students falling or jumping from multi-story facilities in the past two years. In the on-line comments and calls to talk radio, there is the inevitable call to seal off the balconies in all of the downtown apartments. At the risk of sounding cynical, are balconies really the problem? Maybe we should make gravity illegal while we are at it. The Harrisburg Patriot News used the headline "Student falls from balcony in State College, marks 7th incident of its kind since October 2012." I have a problem with the "of its kind." It's like trying to say that murder is caused by eating carrots. Most murderers at some point in their lives have eaten carrots. Does one cause the other? Probably not. In the viewpoint of many, seven incidents of Penn State students falling or jumping to death or injury, if not extremely unusual, demonstrates a pattern. In our efforts to keep our kids and the members of the Penn State community safe and to "prevent this from happening again" we look for a link or a common thread in these repeated incidents and then try to find ways to minimize the threat to others. As we learned in basic statistics and probability, we also need to be careful about suggesting cause and effect without having all of the facts. First, seven people demonstrating the same behaviors in a sample size of 40,085 (Penn State Fact Book) does not even come close to being statistically significant. While each incident, particularly those that resulted in death, is horrific and devastating to our community and to the families and friends of the victims, 7/40,085 is not a pattern. With 40,085 students and an additional 18,377 full and part-time employees, a "city" the size of University Park is, unfortunately, bound to see some accidents. What are the statistics and patterns that we should really be looking at in this recent rash of falls? Since 2012, the local police and media have reported seven major incidents of falls. Some involved balconies, but others were identified as likely being self-inflicted or suicides. All, it appears, involved drugs and/or alcohol. In other words, the incident of the young man who lost his life after falling into a stairwell on his way home from a fraternity party is as similar to the young woman who fell out of a window while dancing on a table as the recent incident with the two story balcony fall. All involved drinking. According to the Center for Disease Control (CDC), unintentional injury (i.e. falls, car accidents) is the number one cause of death in all age groups between age 1 and age 44 but especially in the age 15-24 age group. (Comparatively, in my co-hort of age 45-54, unintentional injury is the 3rd leading cause of death). For teens and young adults, the CDC identifies homicide and suicide, in that order as the second and third leading cause of death. USA Today did a comprehensive study of causes of death on college campuses and found interesting results. Although the data was often hard to access because some universities were hesitant to release the information, when the research team looked at on-campus or near campus deaths of students who were engaged in either university sanctioned or with college peers, during the academic year, drownings were actually the number one cause of death. Falls and suicides came in right behind. Balconies were not listed as a leading cause of death. Alcohol, on the other hand, might be the common thread. An organization named College Drinking, which looks at the overall impact of drinking, reports that there are over 1,800 drinking related deaths and almost 600,000 incidents of alcohol-related injury annually on or near college campuses. Those figures don't include assault, sexual assaults, drunk driving, other health issues related to drinking or negative impact on academic progress. Those figures also don't include the number of students who attempted suicide while under the influence of alcohol. Seven incidents in two years may not suggest a balcony problem but might give us a glimpse into the continued issues with alcohol within our community. I was reminded of the young man we lost from our program several years ago. He never made it home after a night drinking with his friends while on internship. They believe that alcohol was a factor in his death by drowning in an apartment building retention pond. His death was an incredible loss and rocked his peers, the faculty in our program and changed the life of his friends and family forever. To effectively solve a problem, we first must recognize there is one and then define that problem clearly. From that, we can identify solutions and hopefully implement one that works. Mislabeling the problem as an apartment issue or the result of having access to a balcony will likely mean that the problem will continue. Addressing the drinking issues on our campus and what we as a community can do to educate and support our students will go much further than sealing the doors to a high rise apartment. Balconies are not the issue. It will be awhile before we know if the departure of Bill O’Brien makes sense for Penn State football. But it certainly has already made Penn State some dollars. 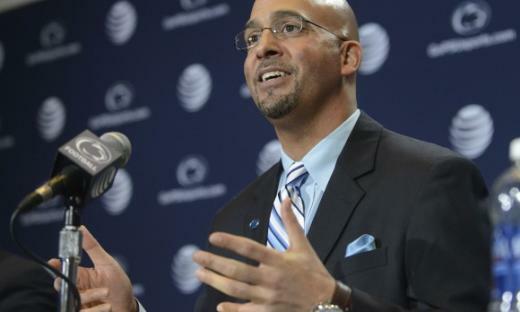 Switching from O’Brien to James Franklin as its head football coach will put Penn State about $3.75 million to the good for 2014 – with about $1 million extra in the till for next year as well.